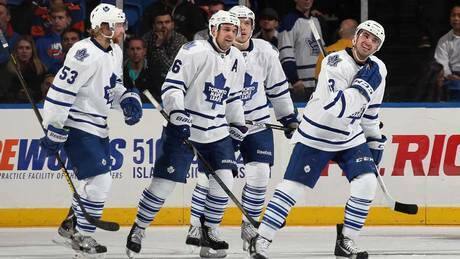 Toronto Maple Leafs forward Nazem Kadri scored his first career hat trick in Torontos 5-4 overtime win over the New York Islanders on Thursday night. Nazem Kadri notched his first career hat trick and Dion Phaneuf scored at 1:11 of overtime to give the Toronto Maple Leafs a 5-4 victory over the New York Islanders on Thursday night. The Colorado Avalanche didn't need seven days to match the Calgary Flames' offer sheet to forward Ryan O'Reilly. The Avalanche matched it just hours after Calgary announced Thursday it had signed the restricted free agent to an offer sheet. Lauren Silberman has scant chance at making the NFL. 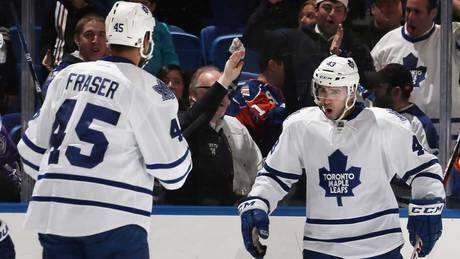 Toronto Maple Leafs forward Nazem Kadri scored his first career hat trick in Toronto's 5-4 overtime win over the New York Islanders on Thursday night. 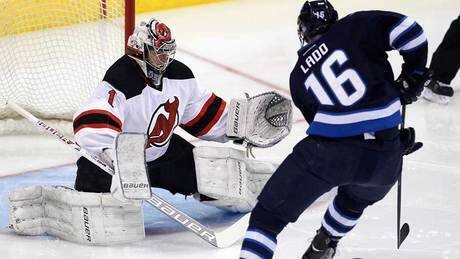 Andrew Ladd had two goals and an assist to lead the Winnipeg Jets in a 3-1 win over the New Jersey Devils on Thursday night. The Colorado Avalanche didnt need seven days to match the Calgary Flames offer sheet to forward Ryan OReilly. The Avalanche matched it just hours after Calgary announced Thursday it had signed the restricted free agent to an offer sheet. Patrice Bergeron's winning goal with 1:21 left in overtime helped the Boston Bruins snap the Ottawa Senators' five-game win streak with a 2-1 victory on Thursday night. LINCOLNTON, Ga. (AP) -- Authorities say a Tennessee Titans tight end has been arrested in a roll-over drunken driving crash in eastern Georgia. You are currently browsing the Sportspool.com Sports News blog archives for February, 2013.